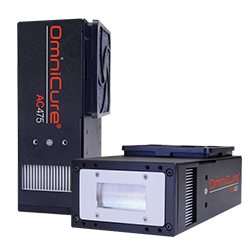 The OmniCure system ® Serial 2000 is endowed with a powerful lamp of 200 W, offering until 30 W / cm2 output, from which the life expectancy is guaranteed during 2000 hours, reduicing your operating costs. 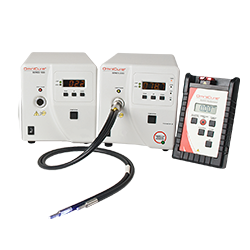 The Intelli-Lamp technology ® registers the number of hours of service accumulated directly with the lamp, so, it is easy to use the Exfo guarantee. 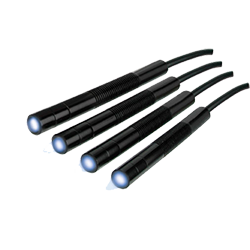 Besides, this technology also allows to check the cooling of the lamp, what extends its duration of life. 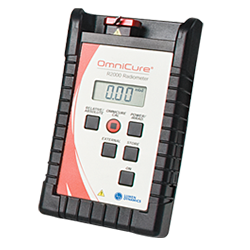 The OmniCure Serie system 2000 is equipped with a servo control loop which checks the emission of the UV lamp at any time and adjusts automatically the power level chosen by the user. It means that as soon as the emitted power decreases with the ageing of the lamp its supply is increased so that the emitted power remains constant. 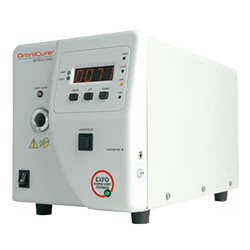 It allows to assure that the level of output power is constant for every polymerization. 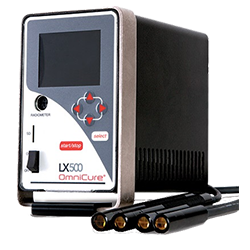 The radiometer R2000, optional, allows to calibrate and to adjust the UV powers appropriate to your production. This radiometer, portable, allows you to calibrate numerous systems of polymerization by using the same device R2000 thanks to its serial port. 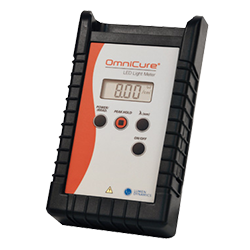 The OmniCure system ® Serial 2000 is ideal for the automated processes. The system of polymerization can be scheduled and commanded from the outside by a controller thanks to ports of input-output 15 pins or directly from a PC by the port of serial communication. The software and the commands are included in the system. External devices are available for the networking of multiple systems. 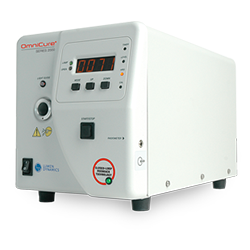 Adjust the UV power levels necessary for your process. Check permanently the radiation arriving on your product. An internal photometer checks the opening of the diaphragm automatically in closed-loop to maintain a constant insulation.